LTTM caught up with Chris Shealy from Catch The Fire Music to talk about their new album Presence, releasing this month. Recorded live at Catch The Fire, Toronto, and featuring worship leaders from around the world, the full-length album captures the raw, spontaneous, unfiltered worship of the Catch The Fire movement. For those who haven't heard of you before, can you tell us a bit about yourselves and how you got involved in making music? Read More LTTM caught up with Chris Shealy from Catch The Fire Music to talk about their new album Presence, releasing this month. Recorded live at Catch The Fire, Toronto, and featuring worship leaders from around the world, the full-length album captures the raw, spontaneous, unfiltered worship of the Catch The Fire movement. We've been leading worship together since our teenage years. For us, music and worship music specifically has been a part of our lives because our families were involved in worship ministry. I think for all our worship leaders (artists) at CTFM, Worship Music has been a huge part of their lives and upbringing in church. 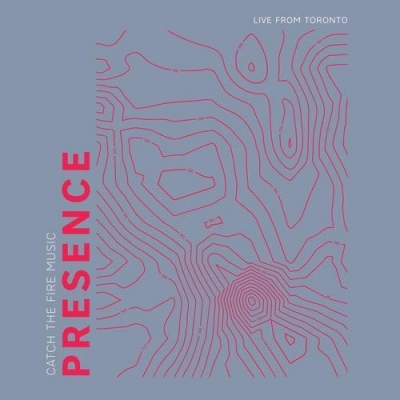 Presence (Live from Toronto) is the first release in a series of collective projects we are planning. This album captures the essence of who we are and what it sounds and feels like to attend a Catch The Fire church. It really tells the story of our movement and our value for Encountering God's Transforming Presence. There are Fiery, passionate, raw, spontaneous and sweet intimate moments throughout. Which is your favourite Track off this new album? “Upper Room”! It's my favorite because of the energy! “Upper Room” is an anthem crying out for the Spirit to come again in a powerful way. It really adequately declares what we want to see in our lives every day. Why choose to record this debut live? We wanted to introduce the world to who we are as a movement and what it's like to attend one of our churches or conferences. Catch The Fire so values the Presence and we wanted everyone who listens to have the opportunity to encounter God in the same way we do during meetings. I think writing with Martin Smith would be EPIC. He's written so many worship anthems over the years and is one of our favourite worship leaders of all time! Our styles are all different individually, but collectively, I feel like we have an intensity in pursuit of the King's presence. Lots of powerful instrumentals, big anthems, raw and authentic worship moments is what we've aimed to capture. We all have many different influences, but most recently, I believe we are all influencing each other as we've grown closer together as a worship family. How would you define success in your career? Success is such a broad topic. For us it's being obedient to the direction and assignment we feel like God has given us. If we are fulfilling that call and faithfully carrying out the vision he's laid before us, then I believe we will be successful. There are way too many amazing albums to just choose one! What does the next year hold for Catch The Fire? We've rebranded as a movement. We're stepping into a new season at Catch The Fire. We're celebrating the past 25 years of Revival since the outpouring began in 1994, but we are very much looking forward to what God has next for us. Some of it is unknown. There's a bit of mystery on our journey but we are really excited as a group about what's next! The next year we are collectively saying "Yes" to God and taking his hand on this journey!